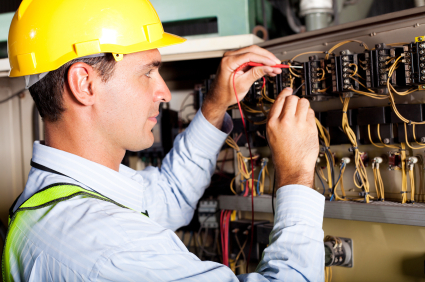 Services :: Hambrock Electric, Inc.
We provide 24 hour emergency services by qualified service technicians who will respond to your call promptly, and who have access to electrical supplies at all times. We can design, install and maintain your outdoor poles, and make sure you have plenty of lights to keep your property secure day and night. We are a full service authorized Generac dealer and have factory trained technicians who can maintain and service your generator. When times are good businesses/home owners often over look planning for a rainy day, but when the power goes out will you keep running? Generators with standby power, supply electricity during an outage to keep you secure and moving. Hambrock Electric Inc. prides itself with their ability to design/build projects from the ground up. With today’s projects having aggressive time frames and tight budgets, we are able to meet these demands by designing projects in-house and than build them in the field. This allows the customer to be apart of the project from the beginning to completion. We specialize in neat clean and timely installs. Hambrock Electric, Inc. will meet your cabling needs from as small as running a single data drop to planning and executing complete infrastructure installs during new construction or as part of a renovation/upgrade project.